Climate assessment activities are increasingly driven by subnational organizations—city, county, and state governments; utilities and private companies; and stakeholder groups and engaged publics—trying to better serve their constituents, customers, and members by understanding and preparing for how climate change will impact them locally. Whether the threats are drought and wildfires, storm surge and sea level rise, or heat waves and urban heat islands, the warming climate is affecting people and communities across the country. To explore the growing role of subnational climate assessments and action, the National Academies of Sciences, Engineering, and Medicine hosted the 2-day workshop on August 14-15, 2018. This publication summarizes the presentations and discussions from the workshop. The 14th annual National Academies Keck Futures Initiative (NAKFI), “Discovering the Deep Blue Sea: Research, Innovation, and Social Engagement”, brought together 170 marine scientists, professional artists, engineers, biomedical researchers, oceanographers, music professors, and undergraduate design students. The attendees collaborated to find solutions to overarching social and scientific research problems tied to five sub-topics: aquaculture and energy; technology; climate-related change; biodiversity; and communication, adaption, and resilience. This publication summarizes the presentations and discussions from this event. Educating girls is a universally accepted strategy for improving lives and advancing development. Girls’ schooling is associated with many demographic outcomes, including later age at marriage or union formation, lower fertility, and better child health. To advance understanding of the relationships between girls’ education and demographic outcomes and to encourage more research on the determinants, content, context, and consequences of girls’ education the National Academies of Sciences, Engineering, and Medicine conducted a workshop addressing these issues on May 11 and 12, 2017. This publication briefly summarizes the presentations and discussions from the workshop. The U.S. Environmental Protection Agency (EPA) regulates toxic chemicals as part of its mission to protect human health and the environment. Traditional toxicity testing relies heavily on studies that expose test animals to chemicals at amounts much higher than typical human exposures (i.e., low doses). However, some chemicals can cause health effects at low doses. This report outlines a strategy to improve EPA's ability to evaluate evidence of low-dose effects of endocrine active chemicals (EACs), also known as endocrine disruptors. The U.S. Environmental Protection Agency (EPA) supports extramural research at academic and nonprofit institutions through a competitive, peer-reviewed grant program known as Science to achieve Results, or STAR. The STAR program funds research to address critical gaps in knowledge in areas of science that are relevant to EPA's mission. At the request of EPA, this report assesses the STAR program's scientific merit, public benefits, and overall contributions. The report concludes that STAR plays an important and distinct role in the nation's research portfolio. In September 2016, the Sustainable Development Goals (SDGs) were adopted at the United National Development Summit to serve as a 15-year plan of action for all countries and people. the SDGs include 17 specific goals, and 169 associated targets that set out quantitative objections across the social, economic, and environmental dimensions of sustainable development, all to be achieved by 203. The Forum on Public-Private Partnerships for Global health and Safety convened a workshop series to examine potential opportunities to engage the private sector and develop partnerships to advance health-related SDGs. This publication summarizes the presentations and discussions from the workshop series. The U.S. 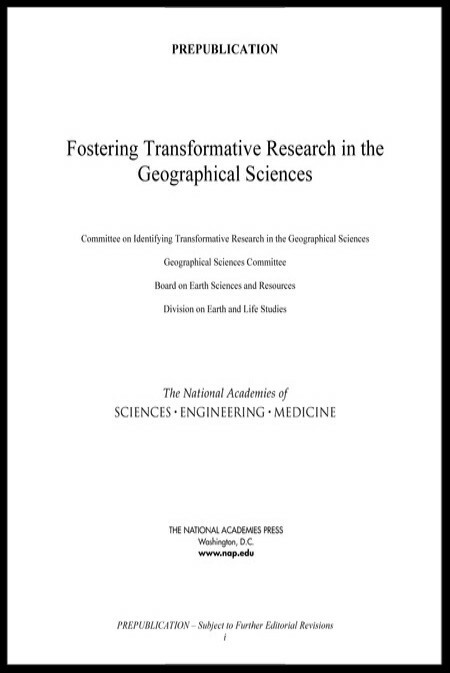 Global Change Research Program (USGCRP) is an interagency program, established by the Global Change Research Act (GCRA) of 1990, mandated by Congress to “assist the Nation and the world to understand, assess, predict, and respond to human-induced and natural processes of global change.” This report highlights the growth of global change science in the quarter century that the USGCRP has been in existence, and documents some of its contributions to that growth through its primary functions of interagency planning and coordination, and of synthesis of research and practice to inform decision making. The United States Global Change Research Program (USGCRP) is developing the Climate Science Special Report (CSSR), a technical report that details the current state-of-science relating to climate change and its physical impacts. This report assesses whether the draft CSSR accurately presents the scientific literature in an understandable, transparent and traceable way; whether the CSSR authors handled the data, analyses, and statistical approaches in an appropriate manner; and the effectiveness of the report in conveying the information clearly for the intended audience. Science and technology are embedded in virtually every aspect of modern life. As a result, people face an increasing need to integrate information from science with their personal values and other considerations as they make important life decisions about medical care, the safety of foods, what to do about climate change, and many other issues. This report offers a research agenda for science communicators and researchers seeking to apply this research and fill gaps in knowledge about how to communicate effectively about science, focusing particular on issues that are contentious in the public sphere. This volume presents papers on the topics covered at the National Academy of Engineering's 2016 U.S. Frontiers of Engineering Symposium. Every year the symposium brings together 100 outstanding young leaders in engineering to share their cutting-edge research and innovations in selected areas. The 2016 symposium was held September 19-21 at the Arnold and Mabel Beckman Center in Irvine, California. The intent of this book is to convey the excitement of this unique meeting and to highlight innovative developments in engineering research and technical work. In October 2015, the National Academies convened a workshop of experts from diverse communities to examine predictive theoretical and computational approaches for various additive manufacturing (AM) technologies. While experimental workshops in AM have been held in the past, this workshop uniquely focused on theoretical and computational approaches and involved areas such as simulation-based engineering and science, integrated computational materials engineering, mechanics, materials science, manufacturing processes, and other specialized areas. This publication summarizes the presentations and discussions from the workshop. Our world is changing at an accelerating rate. These changes have led to major challenges for society, including deleterious impacts on climate, human and ecosystem health. Air pollution is a major threat to human health, as one out of eight deaths globally is caused by air pollution. And, future food production and global food security are vulnerable to both global change and air pollution. Atmospheric chemistry research is a key part of understanding and responding to these challenges. 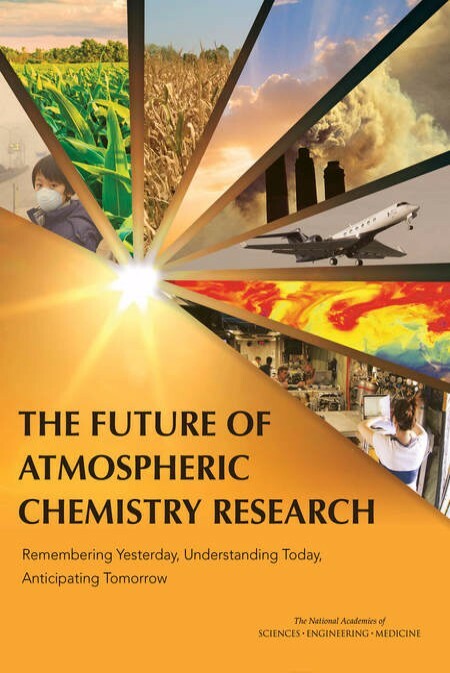 This report summarizes the rationale and need for supporting a comprehensive U.S. research program in atmospheric chemistry and describes the scientific advances over the past decade in six core areas of atmospheric chemistry: emissions, chemical transformation, oxidants, atmospheric dynamics and circulation, aerosol particles and clouds, and biogeochemical cycles and deposition. Research on gene drive systems is rapidly advancing. 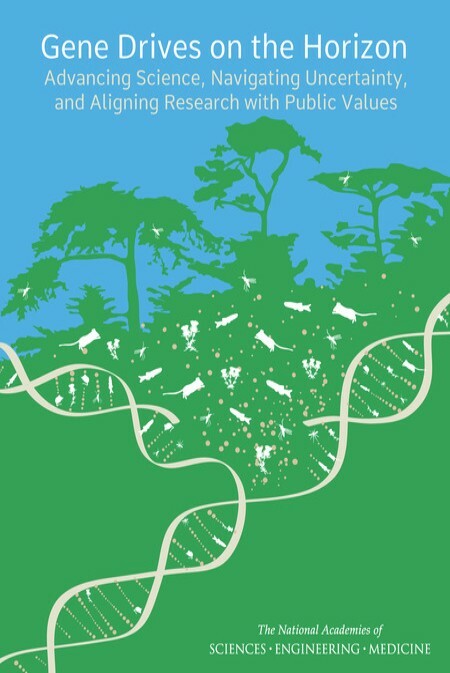 Many proposed applications of gene drive research aim to solve environmental and public health challenges, including the reduction of poverty and the burden of vector-borne diseases, which disproportionately impact low and middle income countries. However, due to their intrinsic qualities of rapid spread and irreversibility, gene drive systems raise many questions with respect to their safety relative to public and environmental health. This report outlines the state of knowledge relative to the science, ethics, public engagement, and risk assessment as they pertain to research directions of gene drive systems and governance of the research process and offers principles for responsible practices of gene drive research and related applications for use by investigators, their institutions, the research funders, and regulators. 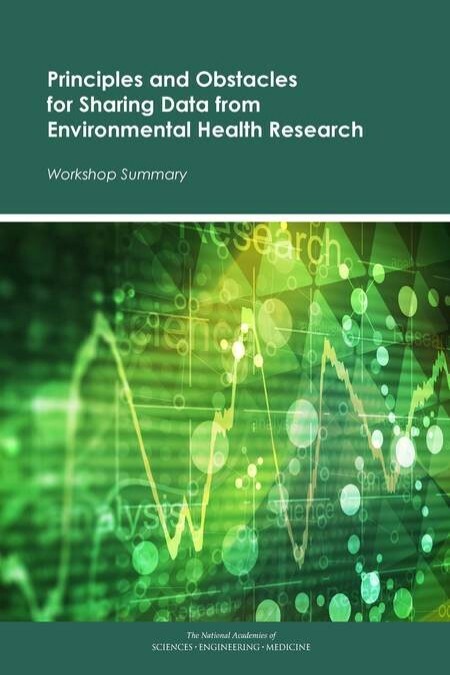 On March 19, 2014, the Academies held a workshop on the topic of the sharing of data from environmental health research. Experts in the field of environmental health agree that there are benefits to sharing research data, but questions remain regarding how to effectively make these data available. The sharing of data derived from human subjects--making them both transparent and accessible to others--raises a host of ethical, scientific, and process questions that are not always present in other areas of science, such as physics, geology, or chemistry. This summary provides an overview of the presentations and discussions from the workshop. Genetically engineered (GE) crops were first introduced commercially in the 1990s. After two decades of production, some groups and individuals remain critical of the technology based on their concerns about possible adverse effects on human health, the environment, and ethical considerations. At the same time, others are concerned that the technology is not reaching its potential to improve human health and the environment because of stringent regulations and reduced public funding to develop products offering more benefits to society. While the debate about these and other questions goes on, emerging genetic-engineering technologies are adding new complexities to the conversation. 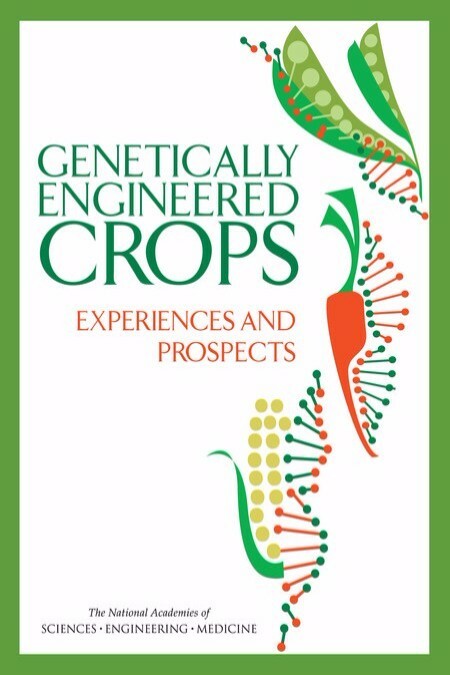 This report builds on previous related Academies reports published between 1987 and 2010 by undertaking a retrospective examination of the purported positive and adverse effects of GE crops and to anticipate what emerging genetic-engineering technologies hold for the future. The central purpose of all research is to create new knowledge. In the geographical sciences this is driven by a desire to create new knowledge about the relations between space, place, and the anthropogenic and non-anthropogenic features and processes of the Earth. Due to its positive impacts, transformative research can be regarded as inherently having greater value than more conventional research, and funding agencies clearly regard transformative research as something to be encouraged and funded through special programs. This report reviews how transformative research has emerged in the past, what its early markers were, and makes recommendations for how it can be nurtured in the future. Antarctic and Southern Ocean scientific research has produced a wide array of important and exciting scientific advances. Spanning oceanography to tectonics, microbiology to astrophysics, the extreme Antarctic environment provides unique opportunities to expand our knowledge about how our planet works and even the very origins of the universe. 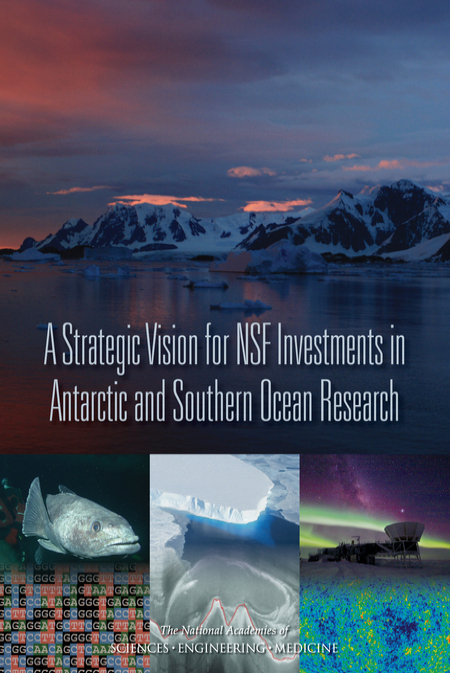 This report identifies priorities and strategic steps forward for Antarctic research and observations for the next decade, makes recommendations for high-priority, larger-scale, community-driven research initiatives, and outlines a roadmap through which the vision and these priorities can be met. Engineering is poised to make an even greater contribution to society in the next half century than it has made in the past half century. At its annual meeting on September 28-29, 2014, the National Academy of Engineering celebrated the 50th anniversary of its founding. A highlight of the meeting was a forum of distinguished speakers who considered the achievements of the last 50 years and looked toward the potential achievements of the next 50. This report summarizes their presentations. The National Marine Fisheries Service (NMFS) is responsible for the stewardship of the nation's living marine resources and their habitat. As part of this charge, NMFS conducts stock assessments of the abundance and composition of fish stocks in several bodies of water. This report is the summary of a workshop convened by the National Research Council to discuss analysis techniques for images and videos for fisheries stock assessment. Experts from diverse communities shared perspective about the most efficient path toward improved automation of visual information and discussed both near-term and long-term goals that can be achieved through research and development efforts. Climate change is causing the widespread thawing and degradation of permafrost, subsurface soil or rock that remains frozen for two or more consecutive years. Changes in permafrost could cause significant impacts-for example, by causing erosion that damages buildings, roads, or other infrastructure, by causing shifts in ecosystems, and by contributing large amounts of carbon to the atmosphere. The National Research Council organized a workshop to explore opportunities for harnessing remote sensing technologies (both from existing sensors and those expected in the near future) to learn more about permafrost status and trends. This report explores a range of options for improving the implementation of the U.S. Department of the Interior's congressional mandate to require the use of best available and safety technologies in offshore oil and gas operations. In the Outer Continental Shelf Lands Act, Congress directs the Secretary of the Interior to regulate oil and gas operations in federal waters. This report, which was requested by Department of the Interior's Bureau of Safety and Environmental Enforcement (BSEE), also reviews options and issues that BSEE is already considering to improve implementation of the best available and safest technologies requirement. In 1972 the National Aeronautics and Space Administration (NASA) launched the Earth Resources Technology Satellite (ETRS), now known as Landsat 1, and on February 11, 2013 launched Landsat 8. Currently the United States has collected 40 continuous years of satellite records of land remote sensing data from satellites similar to these. Even though this data is valuable to improving many different aspects of the country such as agriculture, homeland security, and disaster mitigation; the availability of this data for planning our nation's future is at risk. This report review the needs and opportunities necessary for the development of a national space-based operational land imaging capability. Based on a one-day public workshop held in Washington, DC, this workshop summary explores the current state of biomass utilization for bulk-production of sustainable fuels and chemicals. The discussion focused on the chemistry and chemical engineering opportunities to meet the aforementioned objectives. Both formal presentations and breakout working groups were components of the workshop in an effort to stimulate engaging discussion among participants from widely varying fields. Increasing renewable energy development, both within the United States and abroad, has rekindled interest in the potential for marine and hydrokinetic (MHK) resources to contribute to electricity generation. These resources derive from ocean tides, waves, and currents; temperature gradients in the ocean; and free-flowing rivers and streams. One measure of the interest in the possible use of these resources for electricity generation is the increasing number of permits that have been filed with the Federal Energy Regulatory Commission (FERC). However, most of these permits are for developments along the Mississippi River, and the actual benefit realized from all MHK resources is extremely small. This report focuses on the findings and conclusions regarding a conceptual framework for developing the resource assessments, the aggregation of results into a single number, and the consistency across and coordination between the individual resource assessments. While upfront cost is the biggest obstacle to widespread deployment of light-emitting diode (LED) lighting, warm and cool white LEDs are already cheaper on a lifecycle basis than incandescent lighting and will likely be comparable to that of fluorescent lighting technologies in the near future, says a congressionally requested report from the National Research Council. The report assesses the status of solid state lighting -- LEDs in particular, as opposed to incandescent or compact fluorescent lamps (CFLs) -- and finds that lighting products based on LEDs will be able to support the standards for lumen output that Congress required in the Energy Independence and Security Act of 2007. Tensions inherent to the structure of the Environmental Protection Agency's (EPA) work contribute to the current and persistent challenges faced by the agency, and meeting those challenges will require development of leading-edge scientific methods, tools, and technologies, and a more deliberate approach to systems thinking and interdisciplinary science. This report outlines a framework for building science for environmental protection in the 21st century and identified key areas where enhanced leadership and capacity can strengthen the agency's abilities to address current and emerging environmental challenges as well as take advantage of new tools and technologies to address them. The foundation of EPA science is strong, but the agency needs to continue to address numerous present and future challenges if it is to maintain its science leadership and meet its expanding mandates. The practice of engineering is continually changing. Engineers today must be able not only to thrive in an environment of rapid technological change and globalization, but also to work on interdisciplinary teams. Cutting-edge research is being done at the intersections of engineering disciplines, and successful researchers and practitioners must be aware of developments and challenges in areas that may not be familiar to them. At the U.S. Frontiers of Engineer Symposium, engineers have the opportunity to learn from their peers about pioneering work being done in many areas of engineering. This report highlights the papers presented at the event and covers four general topics from the 2011 symposium: additive manufacturing, semantic processing, engineering sustainable buildings, and neuro-prosthetics. The global economy is characterized by increasing locational competition to attract the resources necessary to develop leading-edge technologies as drivers of regional and national growth. One means of facilitating such growth and improving national competitiveness is to improve the operation of the national innovation system. This report studies selected foreign innovation programs and comparing them with major U.S. programs. This analysis of Comparative Innovation Policy includes a review of the goals, concept, structure, operation, funding levels, and evaluation of foreign programs designed to advance the innovation capacity of national economies and enhance their international competitiveness. This analysis focuses on key areas of future growth, such as renewable energy, among others, to generate case-specific recommendations where appropriate. U.S. ocean research depends on a broad range of ocean infrastructure assets-the national inventory of ships and other platforms, sensors and samplers, computational and data systems, supporting facilities, and trained personnel. In order to ensure that essential infrastructure is available for both fundamental research and issues of social importance in 2030, a coordinated national plan for making future strategic investments is necessary. A growing suite of infrastructure will be needed to address urgent societal issues in coming years, such as climate change, offshore energy production, tsunami detection, and sustainable fisheries. This report identifies major ocean science questions anticipated to be significant in 2030, defines the categories of infrastructure needed to support such research over the next two decades, identifies criteria that could help prioritize infrastructure development or replacement, and suggests ways to maximize investments in ocean infrastructure. The United States will be subject to damaging earthquakes in the future, and some earthquakes will occur in highly populated and vulnerable areas with major effects on the nation as a whole. Efforts to reduce such effects are needed to limit the loss of life, damage to buildings, and economic cost of a major earthquake. This report presents a 20-year roadmap for earthquake hazard and risk reduction, assessing the activities, and their costs, that would be required for the nation to achieve earthquake resilience. The report identifies 18 specific task elements required to improve national earthquake resilience, and estimates the annual cost of implementing the roadmap to earthquake resilience at $306.5 million per year for the first five years.